As an osteopath, I am often asked, both inside and outside of the clinic – ‘what do you think of my posture?’, or even more abstractly, ‘do I have bad posture?’. The most common answer I used to give was ‘if it works for you, it works for you’, meaning that if you have terrible looking posture, but you’re happy with that and you are in no pain, then there is no need to change it. 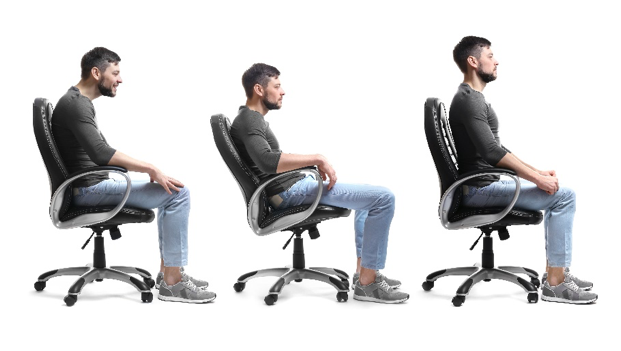 Something changed my mind recently; I have been reading more deeply into posture issues and there are two main reasons why posture is of great benefit. Part 1 of this blog is about the physical benefits and part 2 is about the mental/emotional benefits. The first blog that caught my attention with regard to the physical benefits of good posture was about reflex control of the spine – the typical reaction I get when I explain that posture is a reflex and it’s not as simple as just holding your head up properly. This will be explained in the next section. What Are Postural Reflexes and Why Do We Need Them? As an osteopath, I often have to deal with complex information and explain it. This sounds very complicated, so I’ll go through the main points with you. Have you ever noticed that it is more difficult to balance with your eyes closed? This is because vision is a big regulator of upright posture. Studies show that focusing your vision on a location is enough to maintain a fixed position of the head and trunk, whereas closing the eyes can still achieve balance; it just isn’t as strong a stabilizer. When there are congenital visual issues present, people tend to adapt physically to their benefit. Studies show that people with nystagmus (involuntary eye movement resulting in reduced or limited vision) compensate with an involuntary head tilt, which compared to those who didn’t have their head tilted, had better balance. There are several structures in your neck that keep you upright with their joint position sense. 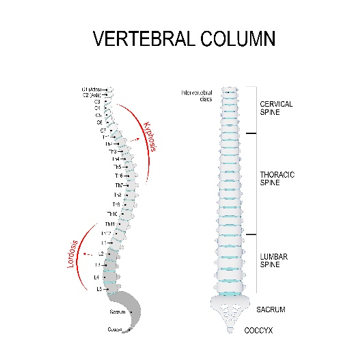 These include the muscles, facet joints (the small joints that move the neck) along with their joint capsules, and the ligaments, among other structures. The facet joints in the neck are wrapped in a joint capsule, which houses these mechanoreceptors, which we all use for postural feedback. Interestingly, they seem to be more dominant in postural feedback over the vestibular system, which makes osteopathic manipulation, which has been shown to increase postural awareness and feedback, a very important modality in postural transformation. If a neck injury occurs, this could impact on the balance response, which could lead to vertigo and dizziness; as a the result of a car accident for example. The best way to rebalance would be retraining and manipulating the joints in the neck, which is something we are able to do as osteopaths at the clinic. In summation, posture is critical in order to retain a fully functional and pain-free spine. If injury does occur, it could have a more detrimental effect that just pain, because of the dependency the body has on the joints, ligaments and tendons in the neck for maintaining balance. If any injury occurs, please consult your osteopath.